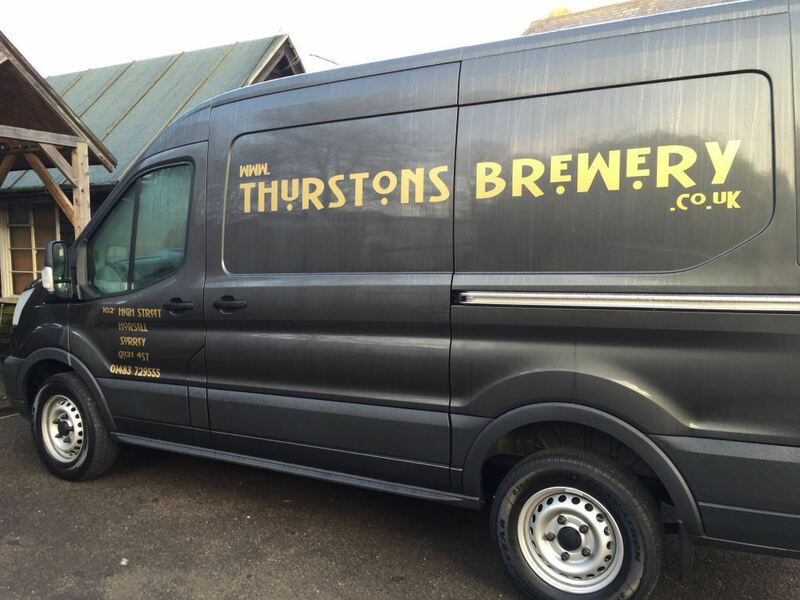 Thurstons Brewery was formed at the Crown in Horsell in October 2012 with a 3/4 barrel plant in the kitchen. The original plan was to produce an occasional brew for the Crown, but we were asked if we would supply Woking Beer Festival with our first beer, Stedmans Ale, a request that we gladly agreed to. The result of the Festival was our first award - third overall. Now we had the bug. More beers followed starting with Maltway, then Festival, Milk Stout, Horsell Gold and Horsell Best!!!! 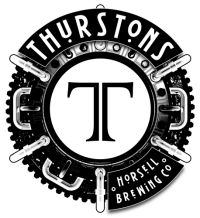 Horsell Gold and Horsell Best soon become our mainstay beers, and along with Milk Stout and Festival Ale, keeping up with demand soon became a problem. In November 2013 we returned to Woking Beer Festival with two beers this time - Horsell Gold and Milk Stout, and were delighted when both beers won their class, Gold took first overall and Milk Stout took second. Milk Stout also went on to win the Gosport Winterfest. Subsequently, plans were hatched to install a 4.5 barrel plant next door to the pub at 102c High Street. Work started in January 2014 and on the 7th February we removed part of the roof and lowered the copper and mash tun into the building. The fermentation vessels didn’t arrive until 31st March, but as we had had these made for us, they were oval in shape and so were able to fit through the window with the help of a few of the regulars from the Crown. After much wiring, plumbing and swearing and a few dry runs, the first brew was completed on the 9th May 2014.